A fire in the building is one of the most dangerous disasters both for your home and your family. As it destroys everything in its path, it leaves behind smoke and soot to cover any unaffected materials. These corrosive byproducts will cause etching and tarnish various materials and objects. If not treated immediately, these items may become lost forever. 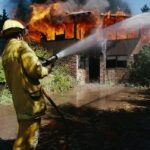 RestorationMaster guarantees a timely arrival upon the initial call to begin the fire damage restoration process immediately. 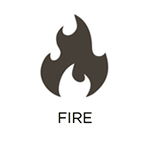 With our services, all fire damage will be contained within the affected area while we quickly and effectively restore all materials. 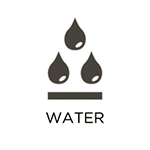 When experiencing a natural disaster, water damage is the most common as it is derived from numerous sources. Whether it be from heavy rain, a sewer backup, or a burst pipe, the water has the potential to seep through porous building materials and cause excessive damage. It also increases the potential for additional issues including property damage, bacteria, mold growth, and power outages if it is not treated in a timely manner. That is why RestorationMaster provides fast, efficient water damage restoration services in Corvallis, OR to prevent the damage from spreading. Our technicians are especially trained to operate the latest drying equipment to extract all water from your home. 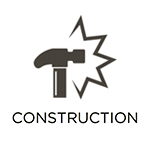 We also provide reconstruction services to repair any damage incurred within the structural materials of the home. Encountering mold within your home is never fun, especially if you have recently restored water damage. However, not treating the area immediately will cause it to spread further, not to mention the threats it will have on your family’s health. 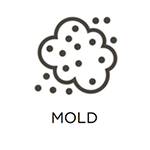 While mold typically feeds on cellulose provided by building materials such as wood and drywall, it thrives on moisture. RestorationMaster provides effective mold remediation services in Corvallis, OR to eliminate all cases of mold growth using our advanced equipment and technology. 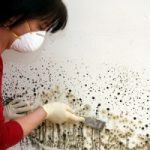 Call us today to see how we can restore your home from mold growth. Natural disasters not only affect the building materials such as the walls and floors, they can also cause severe damage to personal belongings if not treated right away. Water, soot and smoke, and mold have the ability to seep into or cover household items, destroying the finish or material of the item. However, this does not always mean that your personal belongings are permanently ruined. The effective but safe cleaning products used by RestorationMaster allow for your personal belonging to be returned to their original condition. You must call us right away to ensure their restoration as the damage can quickly settle into all affected materials. After treating your home for water, fire, or mold damage, the building materials are still left damaged within the home. Not only does this decrease its overall value, but in some cases, the effects can be dangerous for you and your family. If the condition of the home is unstable, it is imperative to call RestorationMaster right away for emergency reconstruction services. Our team consists of sub-contractors, handymen, plumbers, and more with the experience and training to repair your home for a safe environment. We are proud to provide emergency services with our 24/7 availability at 888-915-8868 in Corvallis, OR and the surrounding areas. This way, you can receive help immediately when you need it most. Call us to see how we can put your life back on track with our reconstruction services. The side effects of hoarding can be dangerous, putting those affected in unsafe living conditions. 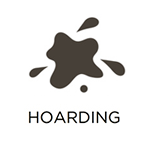 As these individuals develop an attachment to all of their personal belongings, a hoard will develop. As the mass continues to grow, there is a high risk for mold, fire hazards, and bacteria to occur. The individual will require help immediately should one or more of these situations apply. RestorationMaster is available 24/7 to assist with hoarding cleaning of all size homes while establishing a strong relationship to ensure efficiency. Our effective but safe products will guarantee the restoration of the home in a timely manner, providing a safe, sanitary conditions for the individual once again. 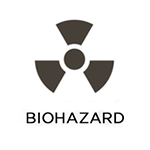 While one certainly does not plan to encounter a scene filled with biohazards, it is essential to be prepared if the unexpected does happen. While it can be traumatizing enough to recognize the loss of a loved one, they should never have to be directly involved in the cleaning process. RestorationMaster is licensed, trained, and experienced to effectively remove all hazardous byproducts, disinfect the area, and work with the grieving family. Our technicians will work with the affected individuals throughout the entire process, ensuring that the aftermath process runs as smoothly as possible. This way, the family can be rid of the stress of the cleanup job while gaining assistance in dealing with insurance. As foul odors can severely impact a visitor’s first impression of a home or building, they can also hold dangerous contaminants such as E. Coli, Salmonella, and Hepatitis A. These can also be the reason of how some diseases are incurred. This is why it is important to call a professional odor and pathogen control company as soon as possible when noticing a foul odor. RestorationMaster is not only available 24/7, but we apply a new chemical to the industry, called chlorine dioxide (ClO2). Not only is this cleaning product eco-friendly, but it will completely eliminate all foul odors and dangerous pathogens at their source. Our specialists will also ensure that these substances will not return in the future, ultimately returning your home to a safe and healthy living condition again. For all emergency disaster restorations and cleaning services, we are available 24/7 at 888-915-8868 in the Corvallis, OR area.